Welcome to First Flight®! We’ve undergone a bit of a makeover. FirstFlight online flight lessons help you learn to fly and will enhance your flight training with a local flight instructor. Complete access to FirstFlight lessons and features is available on a subscription basis. 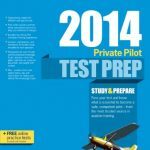 For $49.95, subscribers are provided with six months of unlimited access to the FirstFlight online private pilot course. Take a free demo lesson to see why FirstFlight is your most cost-effective flight training resource. I would like to try a free demo lesson to see why First Flight is my most cost-effective flight training resource. You’re welcome to demo any of the FirstFlight lessons. Just click on the Pilot Course menu and select a lesson. You can automatically view up to three for free before the pay-wall will invite you to purchase full access. An interesting one to try is the following which gives you a good idea of what the content consists of.